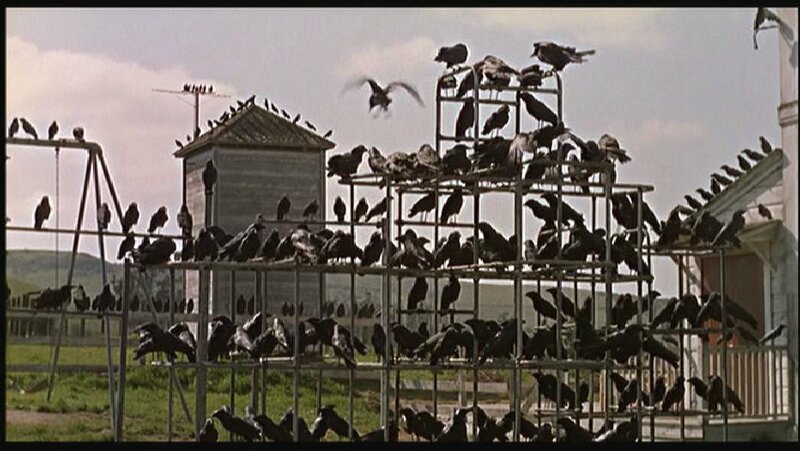 Before I talk about the movie I wanted to show you this great example of Hitchcock’s amazing humor. 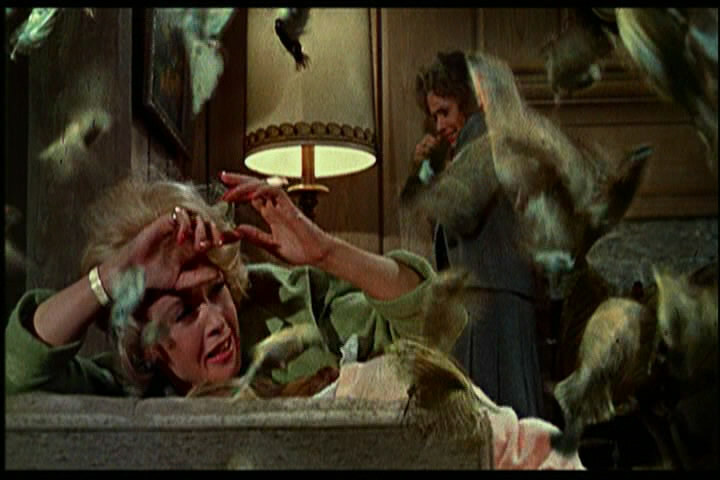 Kyle Bishop wrote “The Threat of the Gothic Patriarchy in Alfred Hitchcock’s The Birds” in which he centers much of his argument around Lydia Brenner and the Brenner house. As I watched the movie I looked for some of Bishop’s examples of “Gothic Patriarchy.” Frankly, my own reading of the film is quite different. I may, in fact, make this the subject of my final paper for this class, but here I will point out a few obvious flaws with Bishop’s arguments. 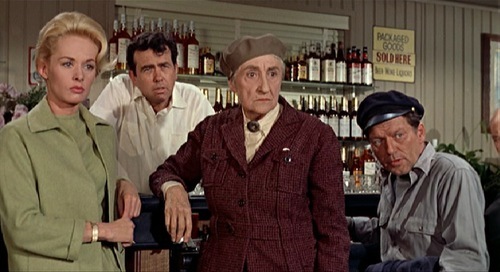 Bishop states, “The Brenner home similarly represents a patriarchical legacy, a legacy once controlled by Frank Brenner, but now managed by his widow Lydia (Jessica Tandy)” (139). He represents the dead father as controlling and stern and yet Lydia talks about how much he understood the children and were such a part of their lives. 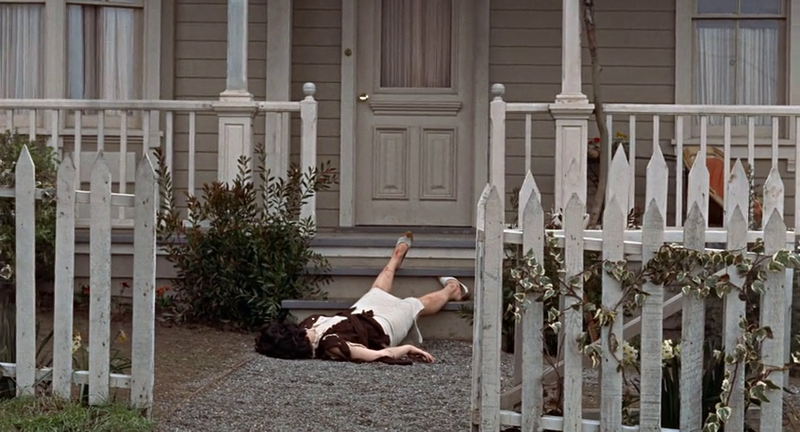 Bishop also argues that “Lydia wants her family to remain with her in their home…For Lydia, her house represents the old power dynamic that had existed when her husband was alive” (140), and yet she is the only one to suggest leaving that home instead of staying when the final attack is imminent. 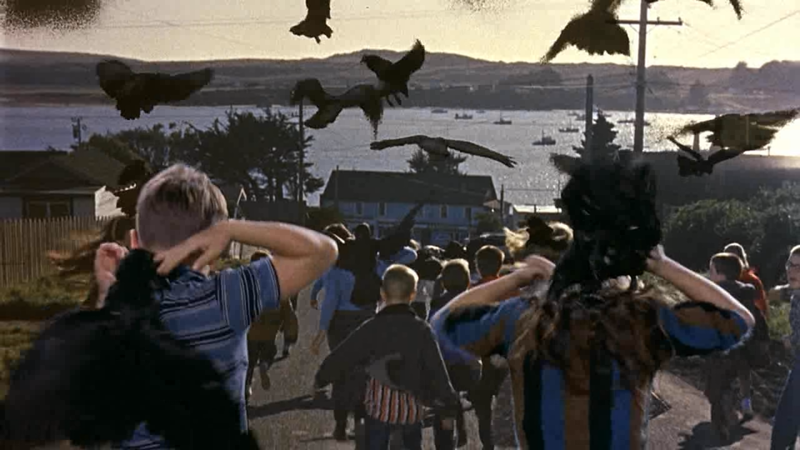 Like the people in the diner, Bishop also suggests that the bird attacks are centered around Melanie Daniels, but the first attack, the one on the fishing boat, occurred at least a week before she arrived, and the first person killed by the birds was a farmer that she had never met and had nothing to do with. 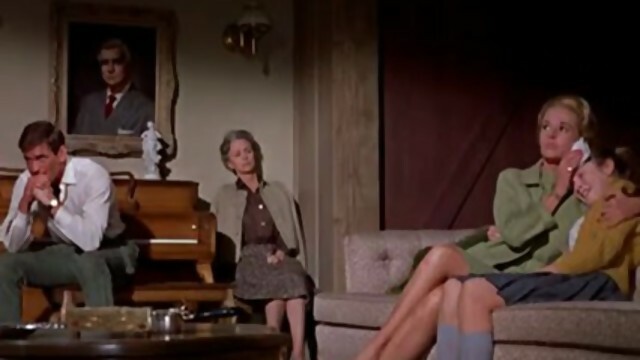 At one point Annie Hayworth explains to Melanie that Lydia is “afraid of any woman who would give Mitch the one thing she can’t – love.” When Lydia talks about how well her husband related to the children she says how much she wishes she could be like that. 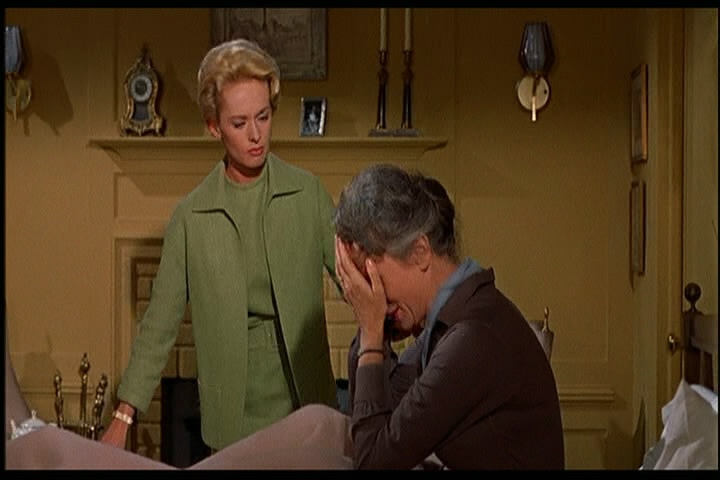 During the course of the movie, Melanie teaches Lydia how to be caring and nurturing and in the end Lydia uses those skills to comfort Melanie during their escape. I have a confession to make. 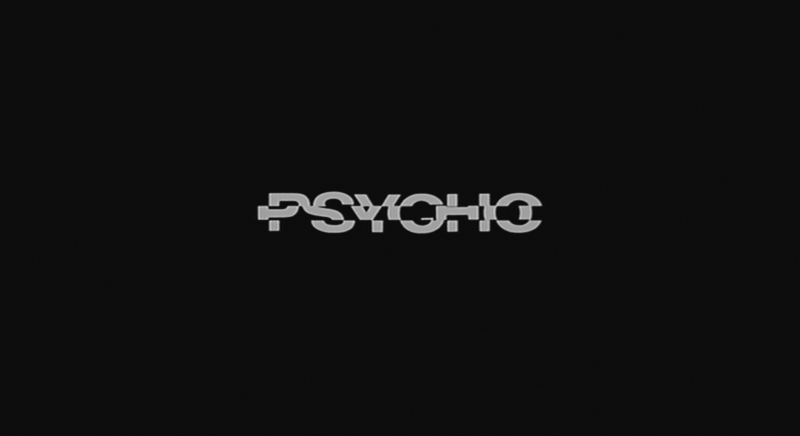 I never actually watched Alfred Hitchcock‘s Psycho before, although I knew a bit about it. 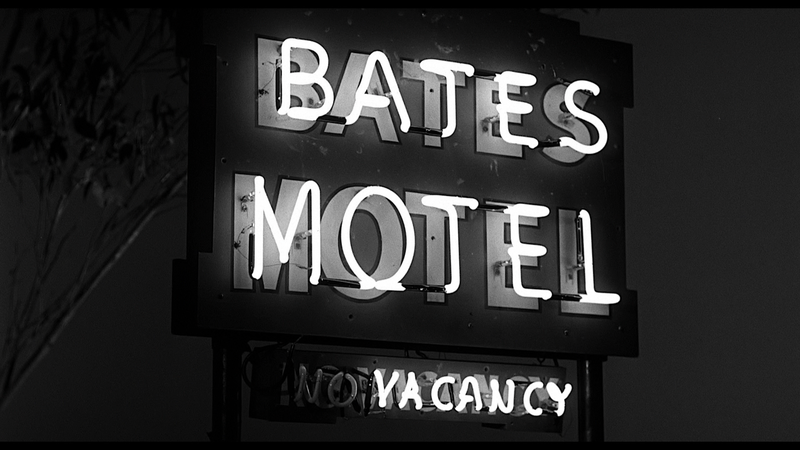 I knew or thought I knew that it all happened at the Bates Motel. I had heard of the famous shower scene and seen cuts from and parodies of it. 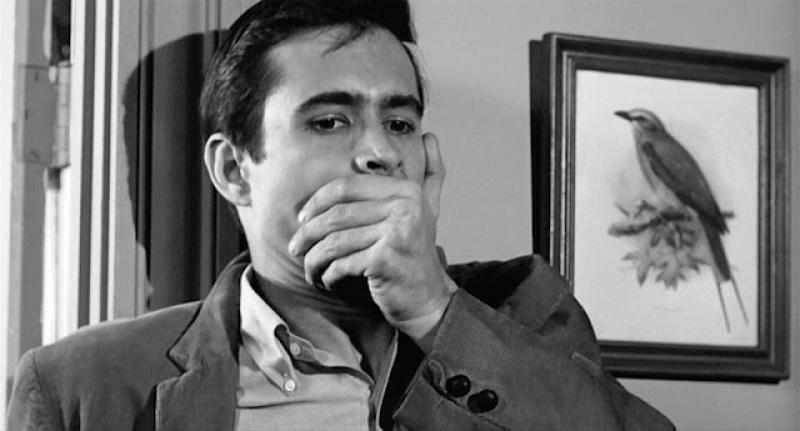 I knew that Norman Bates was the real killer and that his mother was dead and that’s about it. 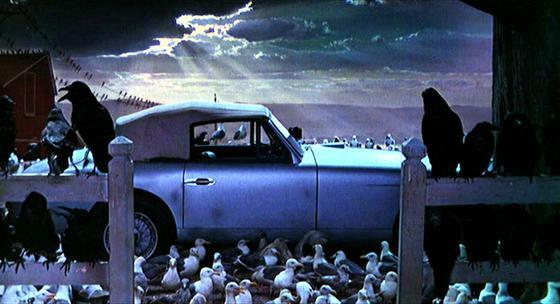 It’s not that I had avoided watching it, I had seen several other Hitchcock movies (one of my favorite is The Birds which my next post will be about). I had just never got around to it. 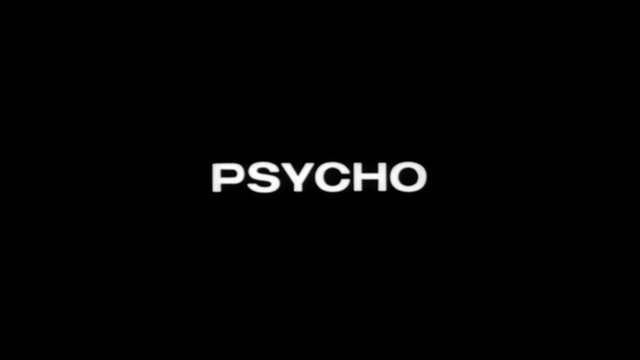 So I watched Psycho for the first time from a rather unique perspective. 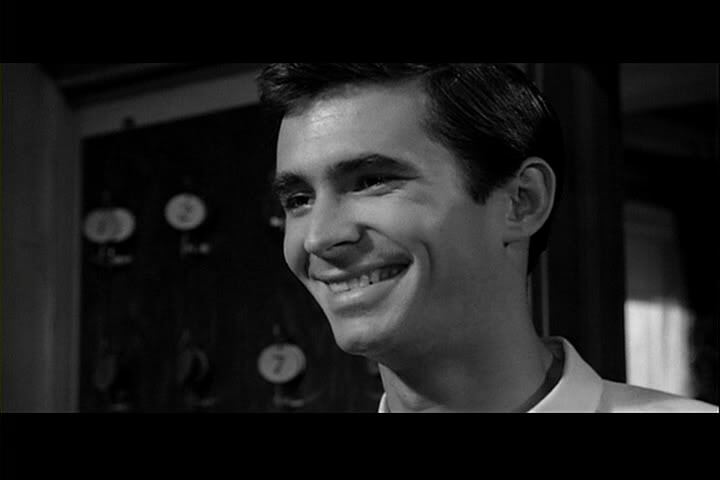 The first thing I noticed was what a nice guy Norman Bates seemed to be. He seemed so friendly and sincere. That is until he revealed his little secret behind the painting. 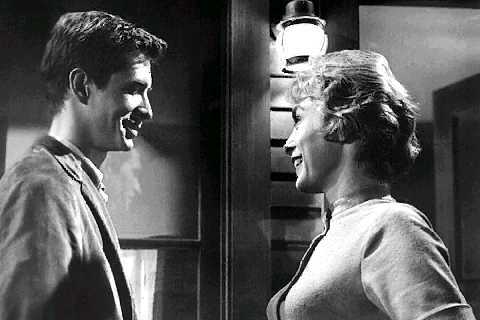 The second thing I noticed was how much he believed in the whole “mother” charade. 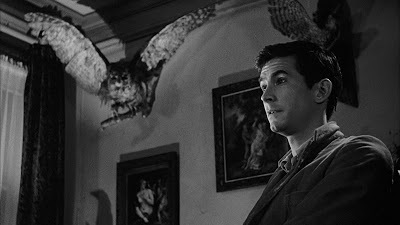 (Well, no, the second thing I noticed was the whole bird thing, as I said one of my favorites.) 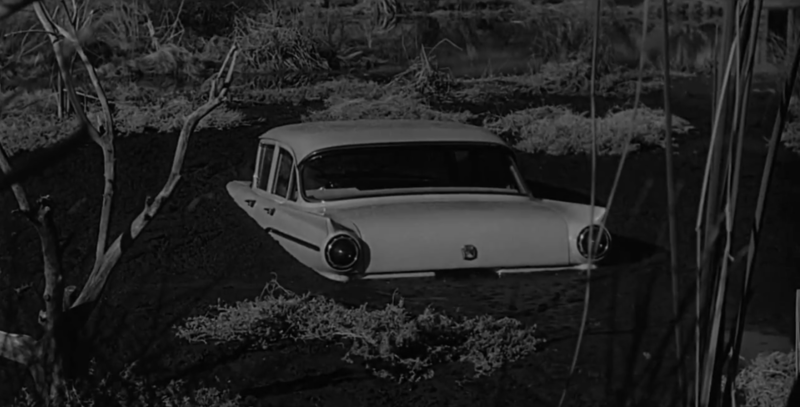 He seemed truly shocked to find the murder scene, as if he had never seen it before, and it couldn’t have been a “show” because no one else was around. Seeing the complete shower scene for the first time was impressive. 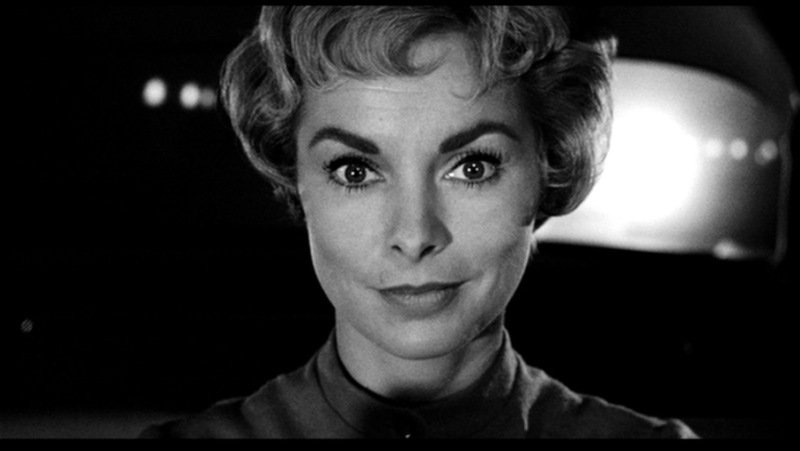 I knew pretty much what to expect, but the quick flash cuts and Janet Leigh‘s acting skills made me see why it has become such a classic. 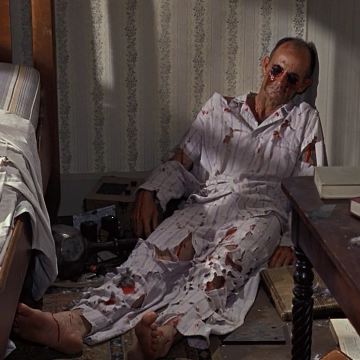 I watched the Steven Soderbergh mash up of the original shower scene with Gus Van Sant‘s remake and the thing that stood out to me was that Leigh did a much better job of acting the scene. 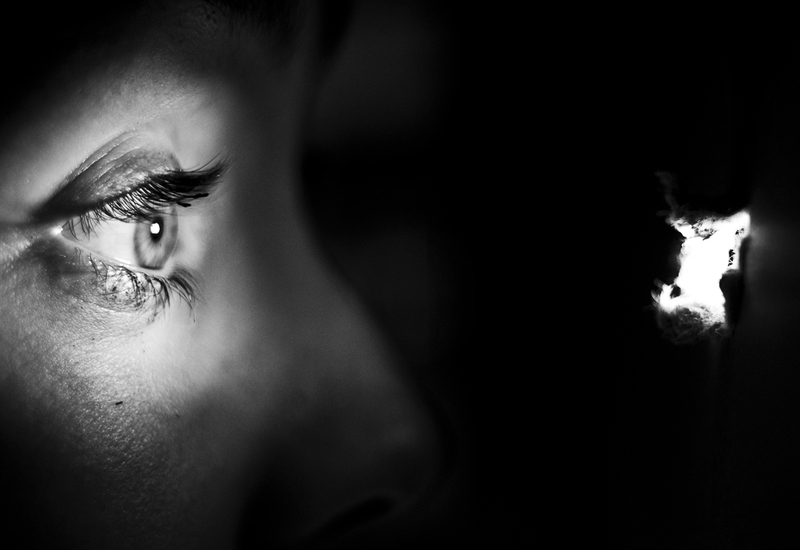 As they were both sliding down the wall, Leigh’s eyes still held a little life in them and the reach out was a natural grasp for help, but Anne Heche‘s eyes are already dead and when her hand reaches out there is no reason for it except someone told her to. 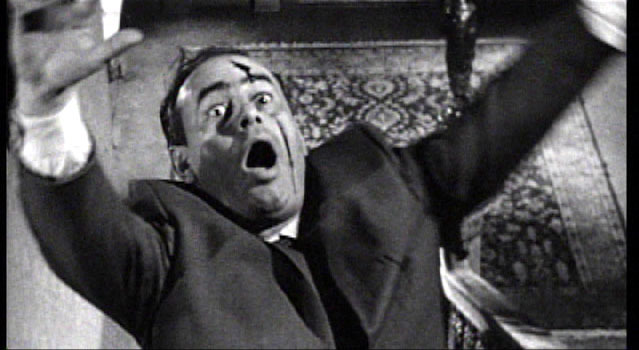 Jason Zinoman pointed out that many of the horror directors that followed Hitchcock felt that he had ruined the movie with the explanatory scene at the end of the film. I saw the film before reading Zinoman’s comments, but I too felt there was something off about the scene. It just didn’t fit with the rest of the movie. It reminded of a mystery when the detective calls everyone together to explain how he knows who-done-it. I appreciated a lot of the information presented in that scene, like Bates’ Oedipus Complex, the fact that he had killed his mother, and the reason that he was so convincing in the “mother” charade. But it did seem like a cheating way to go about it. 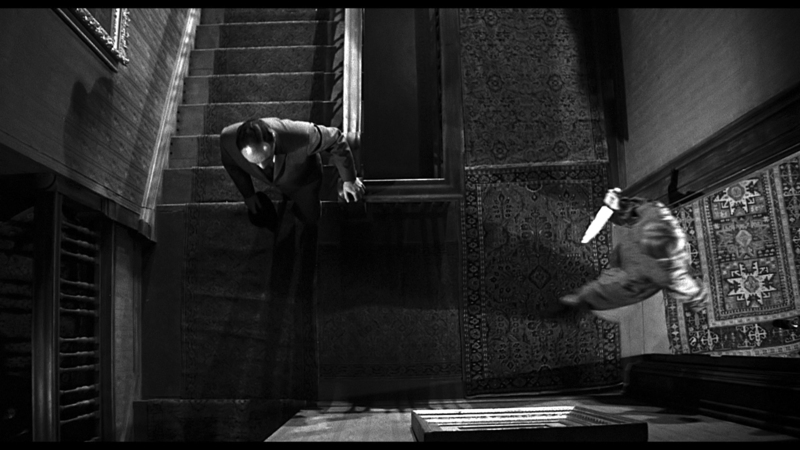 and the eerie correlation between Marion and Norman, but perhaps that would be saying too much.